Recently, we wrote about Why Your IPhone device is not turning off but in today’s post we are addressing why your iPhone is not turning on and the simple approaches that will solve the problem completely. 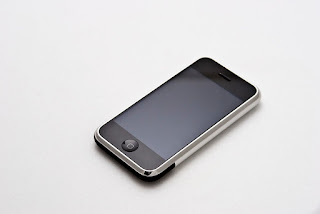 Reasons Why Your IPhone Is Not Turning ON? Before you can solve any problem in life, you definitely first have to know the cause of the problem. Same is the case when your IPhone device is not turning ON. So, you first need to determine whether it’s really a hardware or software problem before taking any next step. If it is software you are safe because in this post we will explain to you all the necessary steps you need to take, that will surely get your phone back On, but if it's hardware you will need to take it to the nearest apple store or an authorized apple outlet for diagnosis. Hard Reset: The first and easiest thing to do is hard resetting your device. Hmm, you don’t know how to perform a hard reset on your IPhone device? No problem. To perform hard reset press and hold down the Power button and the home button together at the same time until the Apple logo shows up on your device. Your IPhone still hasn’t turned On after following the above-provided solution? The next bet is putting your IPhone into DFU mode. You don’t know how to go about this? No worries. To do this, plug your IPhone to your computer, hold the on/off button for like 4 seconds and release, then hold the on/off button together with home button for like 5 seconds. If the screen stays black and nothing happens then you are in DFU mode. All you have to do is to follow the instruction that pops up. If all the above-listed ways still didn’t bring back your phone to life then you definitely need to take it to the nearest Apple repair center but before that try to verify whether your battery isn’t faulty or low. Feel free to drop suggestions and ask questions below.